Be able to explain WHY. Every once in a while I’m reminded of the very important question: WHY? If you are considering SCRUM, XP, Lean or any other Agile Framework, or if you are considering using OpenAgile which is an Open Learning System, you will be changing the organization. Many people think they can do “Agile in a bubble” and therefore not interact with the rest of the organization. You will likely find that you will quickly run into obstacles to using the Framework. 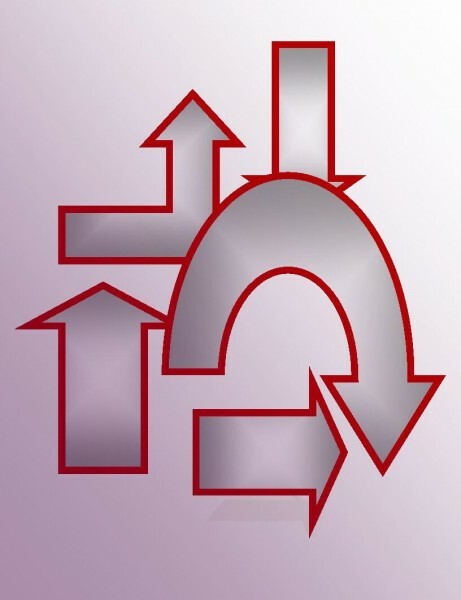 Just the iterative process alone will change the way stakeholders interact with teams, meeting rooms are scheduled, vacation schedules, communication requirements, team spaces and/or seating, the responsibilities of stakeholders, and even the interactions between team members and other departments. Because of this, working towards Agility WILL change your organization. You may start out with an aggressive framework such as XP(Extreme Programming), or something a little more gentle such as Kanban or Lean (which let you start out as you are and visualize your process). However, please don’t kid yourself; you will eventually need to change the way things get done in the company. Whether you are the OpenAgile Growth Facilitator, a Scrum Master trying to introduce Agile from the grass-roots, or if you are the CEO or CIO trying to introduce change from that level, you will eventually need to address the WHY for the change. Managers and employees alike need to know why they are being asked to leave their comfort zones. In some cases they will be going against everything they have learned in the past about people management or how they should work. They need to know the reason. Whatever level you are in at your company, please be ready to explain why you are making the change to an Agile Environment. Something like “to be more efficient”, isn’t really going to cut it. Is it to be more competitive against other companies breaking into our market and you need to change quickly to stave them off? To give this message, you would need to let people know that you are concerned about this. This is part of the Transparency of Agile. If you know this, but are not willing to pass this on to your managers or teams, you will have struggles when managers don’t know why you are changing their environments. Is it to stop the high level of turnover in your company ? You will be changing to a more team-focused environment which might seriously change the way Project Management or even H.R. does things. For this also, you will need to explain your changes to help you get support. I could think of many other reasons. You should have your OWN reasons. If you started an adoption or transformation a while back, it’s a good idea to restate this every once in a while (if even for yourself). It will remind you why you are continuing to improve and learn every iteration. Asking yourself once in a while will also allow you to improve your message which will likely change slightly over time as the market and your environment changes. Please, go home TONIGHT and ask yourself WHY are we transitioning or continuing to work towards being more agile. You will need to answer this for others more than once as you continue on your journey. If the answer to yourself is “this is our last chance to make sure we don’t disappear as a company”, that revelation is a good one as well, and you will know why you need to stand strong on the changes you are making. Either way, it all starts with the same question. Please make sure you always know the answer to the question “Why?“. 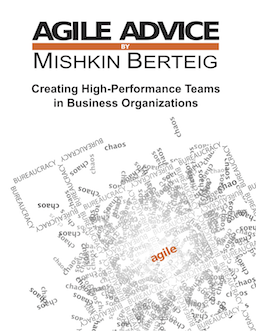 Mike Caspar (who sometimes contributes here too), has written an excellent article on a method for Agile Teams to gather data that could be used for performance reviews. The term Scrum Master can cause it’s own confusion. I recently had a revelation about the Title “Scrum Master” and why it seems to be so confusing in some companies, especially those that are moving from Command and Control to an Agile Environment. I was observing the activities of a new team that did not have a Scrum Master but were trying to use the SCRUM Framework. The company had unfortunately not added this role in their new SCRUM team(s). The reasons why are not important. Let’s just say, they now have those roles. When the Scrum Master was selected, some issues showed up over a perception of that person getting a “promotion” to a management type position. They were now the “Master of the Team” (or so the perception was). I managed to help that team out by simply reminding them the intention is that the Scrum Master role is as a Master of SCRUM, not a Master of the Team. There are some management type abilities to be a Scrum Master for sure, but they are more directed to interfacing with the outside world and removing obstacles for the team. There are some management skills required to be able to have the confidence to keep the rules of Scrum and push back and deal with different levels within the organization. Remember, the word is SCRUM Master, not TEAM Master, Team lead, Project manager, etc. Of course, changing the order of the words would be inappropriate, but perhaps explaining the distinction to others might help clear up some of the confusion for your teams.